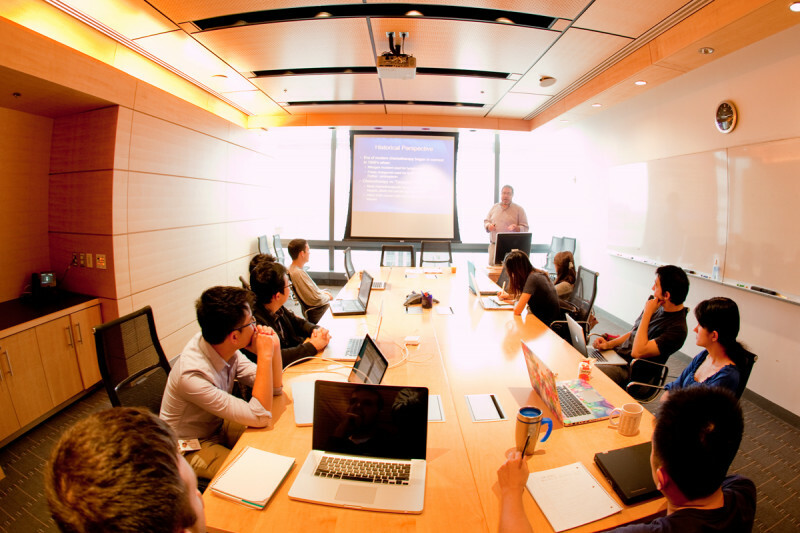 All students attend the graduate program on a full-time basis. We allow students a maximum of six years to complete all requirements for the PhD degree. Satisfactory completion of the Core Course (with a GPA of 3.0 or better), first-year journal clubs and seminars, and laboratory rotations are evaluated at the end of the first year of the program. By March 31 of the second year of the program, students must present their thesis proposals. The thesis proposal consists of a written and oral presentation based on the thesis work that the student has already begun. This presentation gives students an opportunity to organize their thoughts and plans for the dissertation project, and allows mentors and the Advisory Committee to assess the students’ scientific progress. Students are automatically advanced to candidacy after the successful presentation of their thesis proposals. Each student must successfully complete both the written and oral components of the presentation before being advanced to candidacy. Ultimately, our students must pursue a research project under the supervision of their mentors, which results in a dissertation that reports new findings. Once completed, the dissertation is presented and defended.